Mahindra KUV100 Trip is being offered as a value proposition to fleet and business owners in CNG and diesel variants. Mahindra KUV100 Trip variant is designed to suit fleet and business owners. The newest variant is available in both Bi-Fuel (Petrol and CNG) and diesel mFalcon engine options. On the price front, Trip sets you back by Rs 5.16 lakhs for Bi-Fuel variant, and Rs. 5.42 lakhs for diesel variant. Both prices are ex-showroom Delhi. KUV100 Trip focuses on low operating cost for CNG and diesel variants. Space availability looks to seat upto 6 people. While that sounds great, it’s a bit of a stretch. Most fleet services and business owners don’t stuff passengers and staff into a car like cattle class. Space on the inside coupled with long travel suspension proposes to offer a comfy ride on varied terrains over short and long distances. 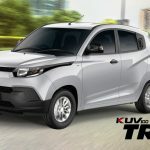 Mahindra KUV100 Trip driveability puts it on course to be a fleet service vehicle whether for short distance city travel or long distance highway trips, making it an option for inter city trips. To ease ownership, on offer are attractive finance schemes, special accessory packages and an extended 5 year warranty guarantee. A low down payment and attractive EMIs makes the price proposition competitive. 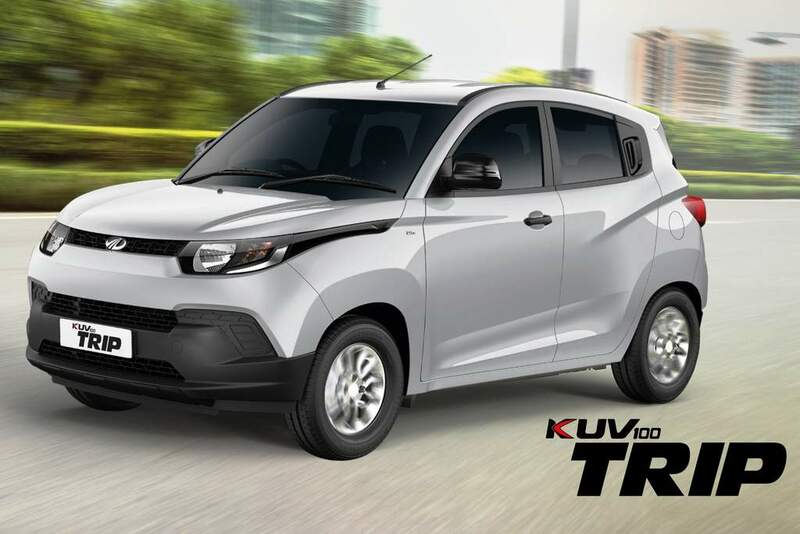 KUV100 Trip is available in two colours – Diamond White and Dazzling Silver. KUV100 Trip’s flexi 6-seater option allows seat config from 5 to 6. The 6th seat can be used as a large armrest for the driver and co-driver. An attractive Annual Maintenance Contract (AMC) and running cost of Rs. 0.35-0.40 /km makes Trip a proposal worth looking at.